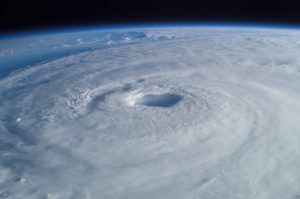 What lessons in disaster preparedness can businesses learn from the 2017 hurricane season? In this guest blog by Laura Toplis, Director of BCP Builder, the results of the FEMA After-Action Report are explored and actionable steps for businesses are listed. The 2017 hurricane season has provided many lessons in the extent of what could possibly go wrong following a major natural disaster. It is entirely possible to lose power, communications, access to food, drinking water and medical supplies. The Federal Emergency Management Agency (FEMA) After-Action Report provides a summary of the lessons learned from Hurricanes Harvey, Irma and Maria to help improve business and community preparedness. FEMA’s mission is to lead America to prepare for, prevent, respond to, and recover from disasters with a vision of “A Nation Prepared.” FEMA can trace its beginnings back to 1803, with a Congressional Act that is generally considered the first piece of disaster legislation. The best solution is to have a generator that is maintained and regularly tested. If this is not practical for your business, you can approach local hire companies to find out the costs of hiring a generator and how it would connect to your building. It would be sensible to test the connection to ensure it will actually work when required (keeping in mind that generators will be in high demand during a prolonged power outage). How far do they live from the office? Will their homes have power? Do your staff have laptops or desktop computers? Do your staff take their laptops home each evening, or outside during a fire drill? How often do your staff work from home in normal circumstances? Have they tested the functionality recently? What is the capacity of your remote connection? Will it handle all of your employees dialing in from home, or will that overload the system? ICT should be backed up securely to the Cloud, however you should also be keeping a local backup. Test your data backups regularly. You can’t assume that it is working correctly. If your business uses specialized equipment that is difficult to procure, it would be sensible to purchase a backup and if possible run this from an alternate location. Of households impacted by Hurricane Harvey, 80% did not have flood insurance. FEMA recommends all-hazard insurance so individuals can reduce their losses and speed their recovery. It is important to recognize that resilience doesn’t stand in isolation—businesses operate within an ecosystem with other businesses. Strengthening community resilience requires pooling and utilizing existing resources and capacities and using these to the full collaboration is a prerequisite for the effective use of resources. Speak to your neighbors; if you’re working in a shared building or business park it is important that you speak to each other. Include their details in your Communication Plan so you can join forces following a disruption and help each other. Consider approaching a larger business for mentoring and discuss their Business Continuity Management Strategy. An example of this occurred during Hurricane Maria where a rum factory had stockpiled water to continue producing their rum. However, the local communities did not have clean drinking water. Due to their natural compassion and inclination to avoid a PR disaster they gave the water to the community and stopped production of their product. A business cannot carry on in isolation from the community. Following an emergency you need to be able to contact your staff to establish their safety and potentially check on their availability. Having an Emergency Notification System allows you to send out a mass text and easily report on the responses. These systems will also store your Business Continuity Plans and make them available offline. If there is no internet or mobile network, you need an alternate option. This could be visiting each employee door-to-door. In Puerto Rico, “health brigades” of local volunteers knocked on doors to identify and assist those who could not leave. If there is no power, you will need access to cash to make purchases. How much petty cash do you keep on site? If you operate a small business selling goods to the public, this is where having a generator would really help. In some instances, following Hurricane Maria, major credit card companies provided generators to local stores to ensure continuity of credit card transactions. This should be in a different location, and in the immediate aftermath of an event you should consider using alternate staff. Following Hurricane Maria some companies expressed regret that they had expected staff to continue working, instead of sending in fresh staff from unaffected areas. In the long-term it is likely these staff will want to get back to work and into a routine, but in the initial recovery stage following a disaster, they will rightly be more focussed on their families. Following a crisis you should hold internal hot and cold debriefs. If you’re unsure what to ask, check out my Debrief Questions blog. However, you should also make an effort to attend Community Debriefs arranged by FEMA to learn and contribute to the improvement of your local community. Following Hurricane Harvey the Council of Governments held a series of long-term recovery workshops to connect local leaders with available federal, state, and philanthropic resources. These events were focused on long-term recovery and preparing communities and their stakeholders to take advantage of opportunities in the coming years. The workshops provided a helpful vehicle for the local, regional, state, national, and federal stakeholders to learn from each other. Get in touch with your local Recovery Office. Organizational resilience is more than the plans you have in place or the resources you have available—although these certainly help. It’s about having a culture where everybody learns from events and continuously improves processes. A culture where stories are shared and people understand other people’s roles and their contribution to the bigger picture. BCP Builder is an online business continuity plan template, created to help small and medium-sized businesses quickly design and build their own unique business continuity plans to be better prepared when disaster strikes to respond rapidly and recover confidently. Hi, Sorry to be so long in replying to you. You pasted an extract from my article as a comment. Is there something you wanted to add?